T-Mobile, ever vocal about its opinion of its competitors, has kiboshed that idea. That doesn’t mean T-Mobile won’t be toting promotions in the future – in fact, they definitely will. Carter and COO Mike Sievert both described in their interview with CNET that the company plans on creating a promotion surrounding the upcoming new iPhone release. And, of course, there is the impending 5G tech and compatible phones to sell. You might have heard buzz lately about Sprint releasing an Unlimited 55+ plan, similar to T-Mobile. If you are a Sprint customer who is 55 years or older, you can sign up for one line of unlimited service for $50 a month, or two lines for $70 a month. In comparison two lines of the typical Sprint unlimited plan – which include unlimited talk, text, data, limited international texting and data, and a mobile hot spot – costs $100 a month. 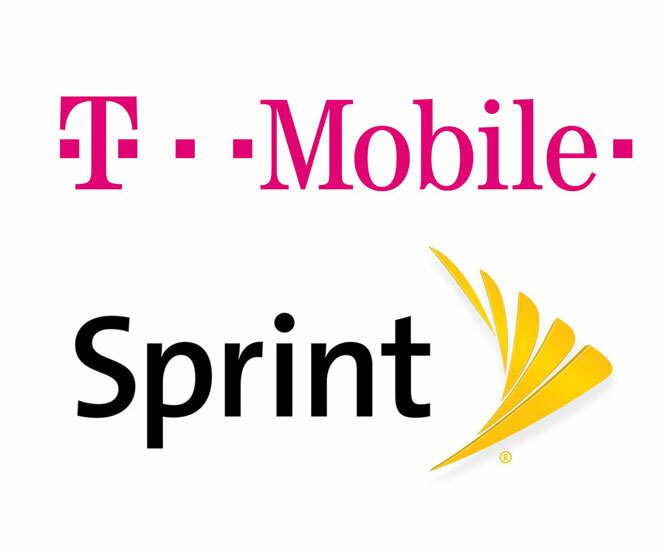 And maybe now you’re thinking, aren’t T-Mobile and Sprint merging anyway? Yes, yes they are. Soon enough this deal for the 55 and older demographic will come from one source, but until the merger, T-Mobile and Sprint are happily offering it separately. Like the Ross and Rachel of the telecom world – there has been talk for months about a potential merger between T-Mobile and Sprint, but it always seems to flounder just as the two companies are getting somewhere. Issues between them include, according to Reuters, egos clashing and “voting rights and control of the board room.” According to Telecoms.Com, people are claiming the deal could move through in the coming days. Together, T-Mobile and Sprint would have about 120 million subscriptions. That is compared to 144 million AT&T subscriptions, and 160 million Verizon subscriptions. In other words, the potential merger would give AT&T and Verizon a significant competitor – and likely a headache. Does T-Mobile have the most loyal customers? In comparison, the other three carriers scored relatively low. Sixteen percent of AT&T subscribers said they would stick it out no matter what, and for Verizon that number was close at fifteen percent. Unfortunately for Sprint, their customer loyalty dragged far behind the rest. Only seven percent of Sprint subscribers said they wouldn’t switch carriers for any reason. Pew Research says that 95 percent of Americans own a mobile phone, and 77 percent own a smartphone, meaning there aren’t a lot of new customers on the market. For T-Mobile, knowing less of its existing customers are willing to jump ship is very comforting news. This is made more important with the end of the two year contract, as well as an overall price drop. Twice a year, OpenSignal releases a study about U.S mobile networks, testing speed, reliability, and other statistics. 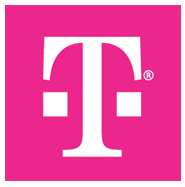 According to FierceWireless, for its most recent study – testing March 31 through June 29 – OpenSignal determined that T-Mobile is the top performing network nationwide. T-Mobile trounced its competitors across the board, in categories including but not limited to LTE download speed, LTE latency, LTE availability, 3G download speed, overall download speed, and 3G latency. AT&T did not take too kindly to this news, saying that its data transmissions are unchanged, despite increased traffic. “We constantly monitor our network performance,” an AT&T spokesperson said via email. “The launch of our unlimited data plans has not impacted wireless data speeds on our network.” Verizon criticized the data for the same reason. The T-Mobile One Plus unlimited plan is $80 per month, up $5 from the previous $75 monthly fee. According to the Verge, One Plus is considered to be T-Mobile’s “good” unlimited data plan, bundling unlimited HD video streaming without any throttling, unlimited mobile hot spot usage, free in-flight WiFi from Gogo, and faster international data than the carrier’s other plans. The price increase marks the end of a promotional period. However, if you’ve already signed up for this plan at the $75 rate, you will be able to keep your lower cost. At $80, the T-Mobile One Plus unlimited plan matches Verizon’s unlimited plan both in price and in perks. AT&T holds the most expensive unlimited plan, at $90 a month for similar features. According to BGR, in the battle to win customers from carriers like Verizon, AT&T, and Sprint, T-Mobile has started throwing Samsung Galaxy S8 phones at potential new sign-ups. Since May 12, T-Mobile has launched a buy-one-get-one-free on Samsung Galaxy S8 and S8+ devices. The deal is contingent on the customer activating at least one new line, and the purchased Galaxy must be on an installment plan. 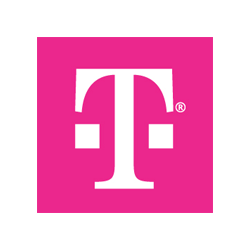 This means that pre-existing T-Mobile customers can take advantage of the deal as long as they add a new line. How do you get the second device free? Well, if you activate this promotion, then you will end up paying taxes for both devices in store, and then charges will be added to your monthly bill for the next two years to pay off both phones. However, you will also receive a rebate MasterCard, loaded with the full value of the second Galaxy S8. That’s more or less a gift card to everywhere, starting around $750. If you don’t want to commit to two years, don’t worry; you can cancel the wireless service at any point. However, the balance left on the phone would then become due immediately. The best way to take advantage of this offer seems to be if you’re already with T-Mobile, and you have the option to add another line for a few extra dollars a month. People in the city of Dallas, Texas have died, in part because they could not reach a 911 operator in time to receive lifesaving service. The problem lies in a “ghost call” glitch in the emergency call system Dallas uses. According to CNET, the problem is currently affecting T-Mobile customers. T-Mobile isn’t the only carrier to experience troubled with emergency services. Recently, AT&T customers in Texas, Indiana, and other parts of the Midwest have experienced an outage of 911 service. The Federal Communications Commission is investigating these incidents. Recently in Dallas, a six-month-old infant named Brandon Alex died when his babysitter could not reach a 911 operator. The night he died, more than 400 calls had flooded the call center. His babysitter was put on hold multiple times. Similarly, a local man named Brian Cross, 52, died in the hospital after his husband was put on hold for twenty minutes before reaching an operator. According to T-Mobile, this specific glitch is unique to Dallas and nothing similar has happened in any of its other 4,000 911 call centers across the country. For four years now, carrier T-Mobile has been picking up a lot of momentum. It looks like 2017 will continue this trend. According to CNET, CEO John Legere boasted about his company’s success at adding new customers in the end of 2016 at CES when announcing the new unlimited-only data plans. In 2016, for the third year in a row, T-Mobile has added more than eight million new customers, with 2.1 million of those subscribing in the last quarter. Legere says that this is impressive, especially because competitors AT&T and Verizon haven’t significantly grown their phone customer base in 2016 at all. Legere reminds us that T-Mobile has been responsible for the vast majority of the industry’s growth in new phone subscribers for four years, and he predicted it will continue to add more customers. Should T-Mobile’s competitors be concerned? In its third quarter of 2016, AT&T lost 268,000 postpaid phone customers, while Verizon lost 36,000. Sprint, ranked fourth in the US wireless market, even added 347,000 postpaid customers in the third quarter. Verizon and AT&T are known as the mega-carriers in the US, but it looks as though their competition might be more serious than they may have though. The Federal Communications Commission (FCC) and Federal Trade Commission (FTC) are launching parallel probes into the mobile industry’s security update practices. The agencies want to determine how manufacturers issue security updates for mobile devices, and how carriers review and release the patches. “As consumers and businesses turn to mobile broadband to conduct ever more of their daily activities, the safety of their communications and other personal information is directly related to the security of the devices they use,” stated an FCC press release. In all, the FTC has contacted eight companies – Apple, BlackBerry, Google, HTC, LG, Microsoft, Motorola and Samsung – to gain insight into how manufacturers determine if a vulnerability needs to be patched. It has also asked for a list of all devices offered for sale since 2013, with information on any bugs that have impacted them and any fixes that were issued. The main concern is that delays in developing patches may be leaving devices unprotected. Older devices may never receive the necessary protection.